A conference giveaway that will stand out from the crowd. 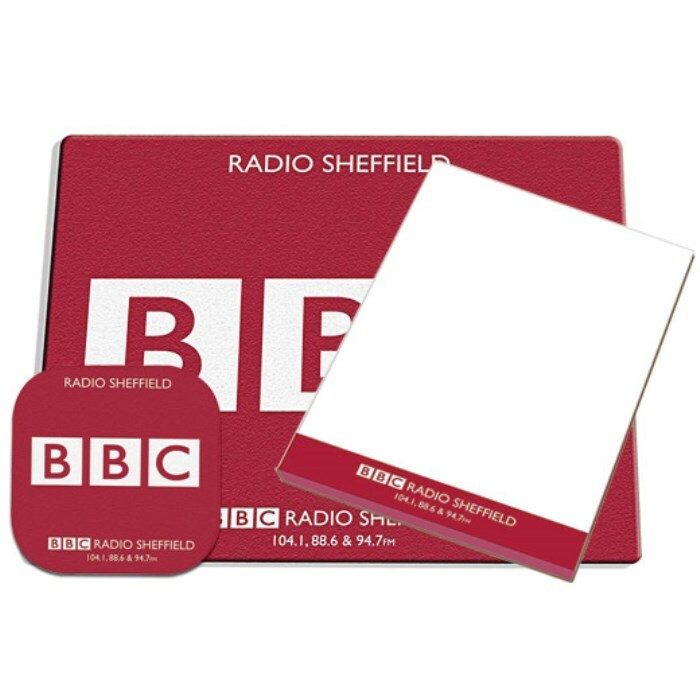 Pack contains a Brite Mat mouse mat (rectangular or circular), Brite Mat coaster (rectangular or circular) and an A5 deskpad. All items can be printed in up to 4 colours - please call for prices. Price includes a 1 colour print in 1 position onto each product. Print area: (pad) 210 x 148.5mm; mousemat (rectangle) 240 x 190mm; mousemat (circle) 200 x 200mm; coaster (rectangle/round) 95 x 95mm.